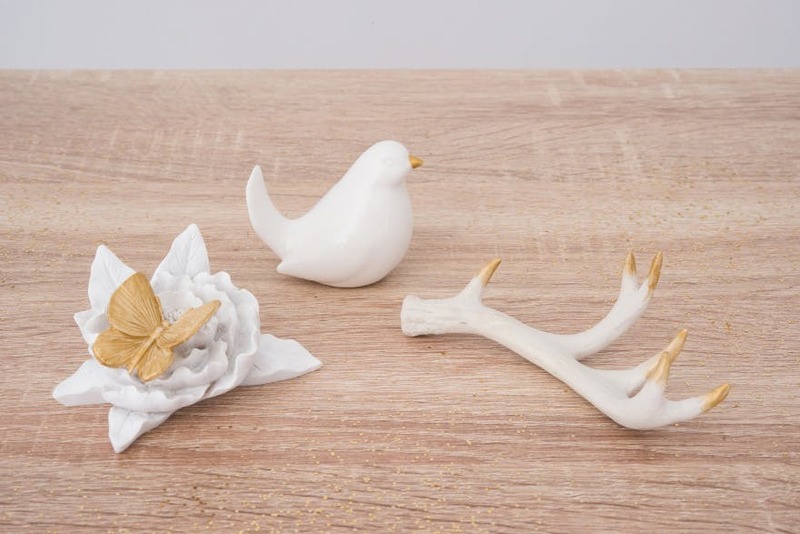 Today we have a gorgeous DIY filled with autumnal gold. 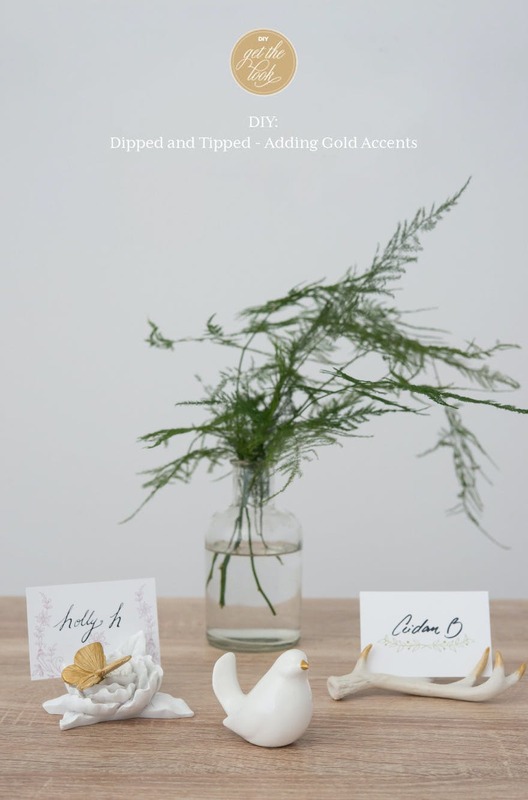 In this very easy guide we’ll show you how to add beautiful golden accents to your wedding decorations to help make your wedding dazzle and delight. 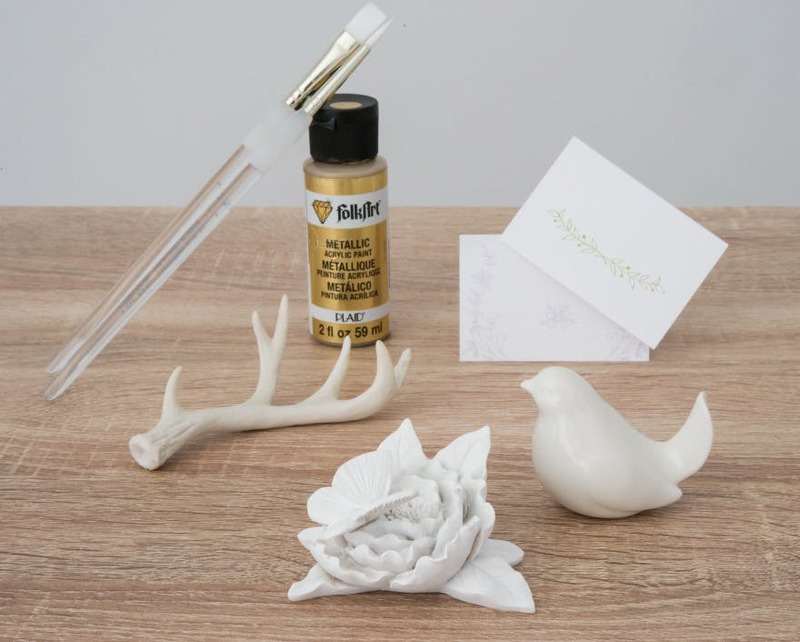 Paint (in this DIY we used “folkArt” metallic gold, colour #660 . 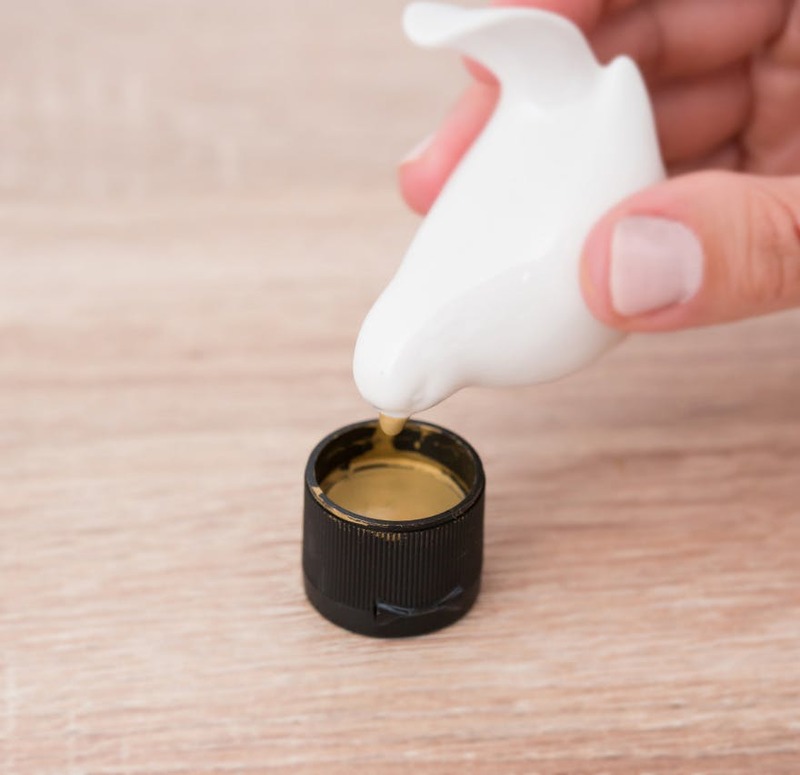 Our first technique is dipping—you can do so much with even a tiny lick of paint! 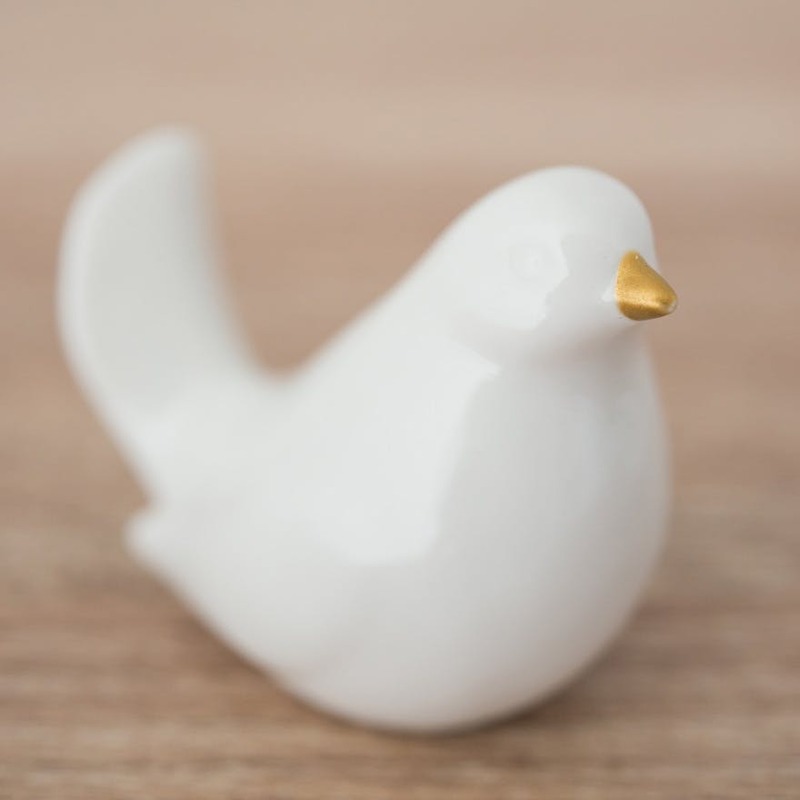 Dip the point you want to accent into a bit of your paint , as shown above with our ceramic bird’s beak. Let any excess paint drip off, as this ensures an even coat of paint. 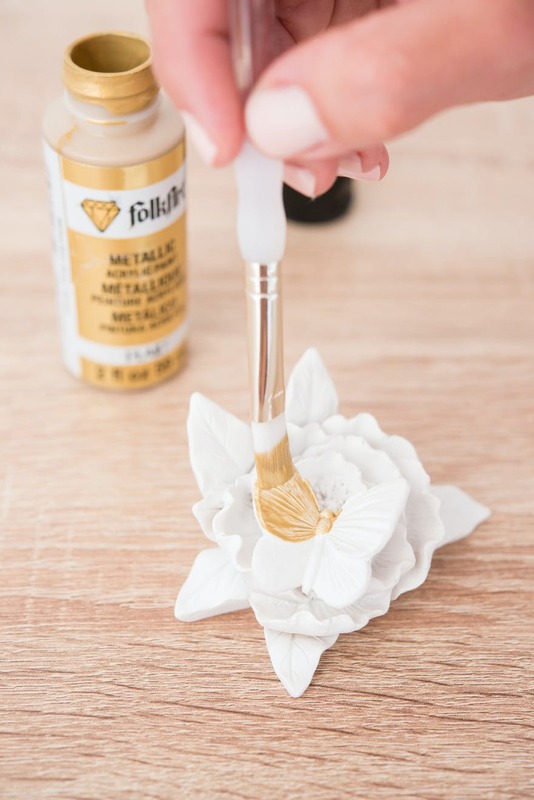 A little more care is needed for this second technique—using a fine-tipped paintbrush, brush your paint gently from the top of your item. 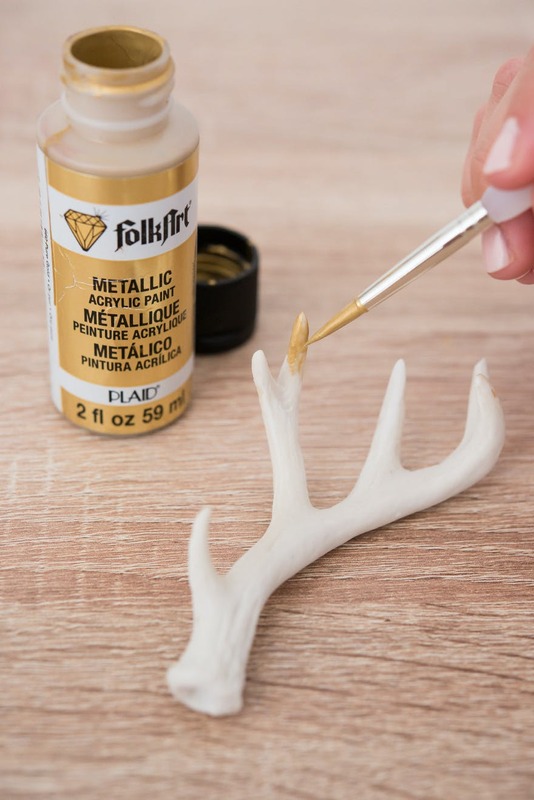 As seen in the image above, we concentrated the gold paint at the tip of the antler and gently brushed down to create a pretty fading-out look that would work wonderfully for a faded vintage effect. 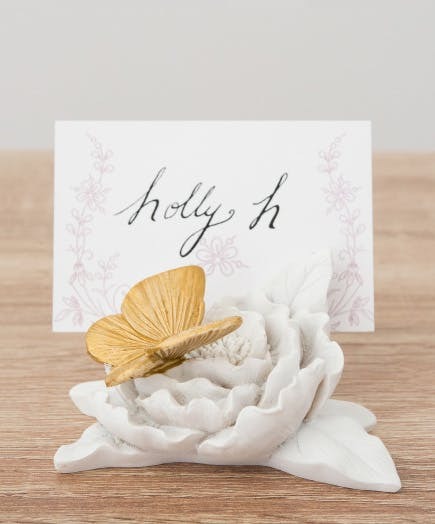 In this third technique we chose a focal point—the butterfly—that we wanted to draw the eye and then used a small, flat-tipped paintbrush to paint it a bold metallic gold. 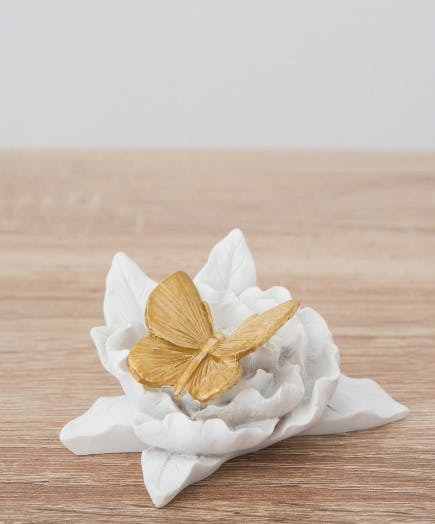 Now our golden butterfly really stands out beautifully. Of course, with the above items you don’t have to use them as card holders. 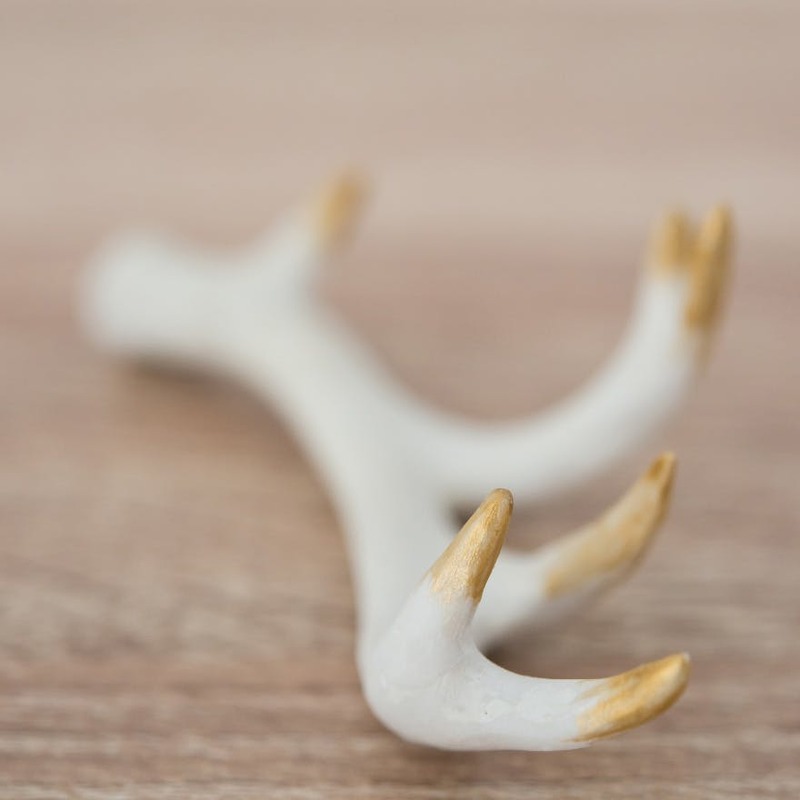 You could simply use them as decorative elements on their own—such as part of a table centrepiece—or as wedding favours for your guests. Also, you don’t have to stick to using paint to accent your decorations. You could do more, and experiment with things like glitter. 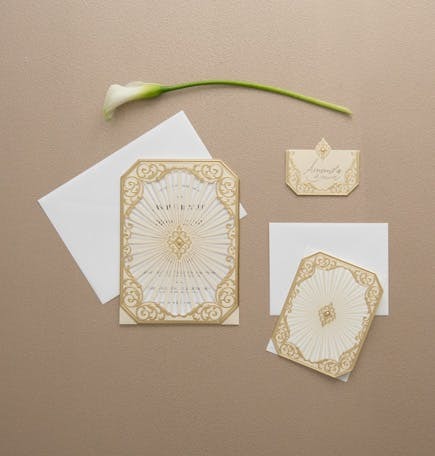 Gold is a stunning accent to your wedding, and it has become something of a traditional colour choice beside white or ivory. 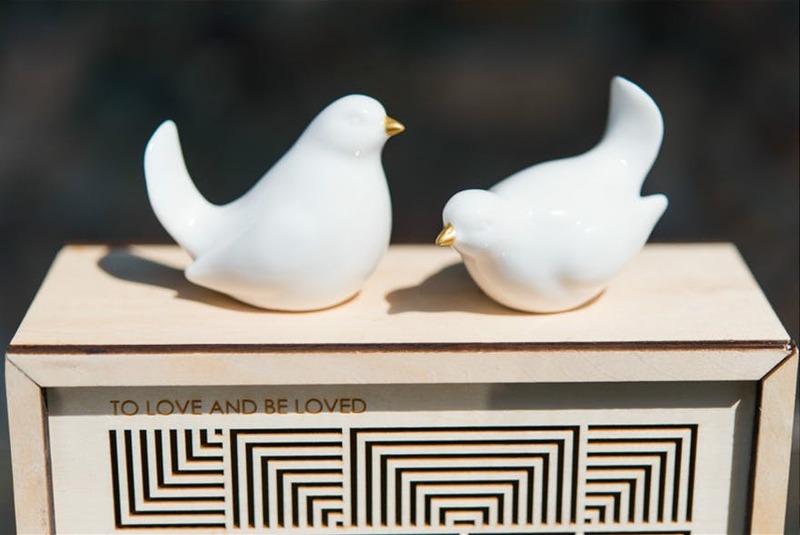 From table decorations to bridal accessories, it’s a real sprinkle of elegance on your wedding decor. 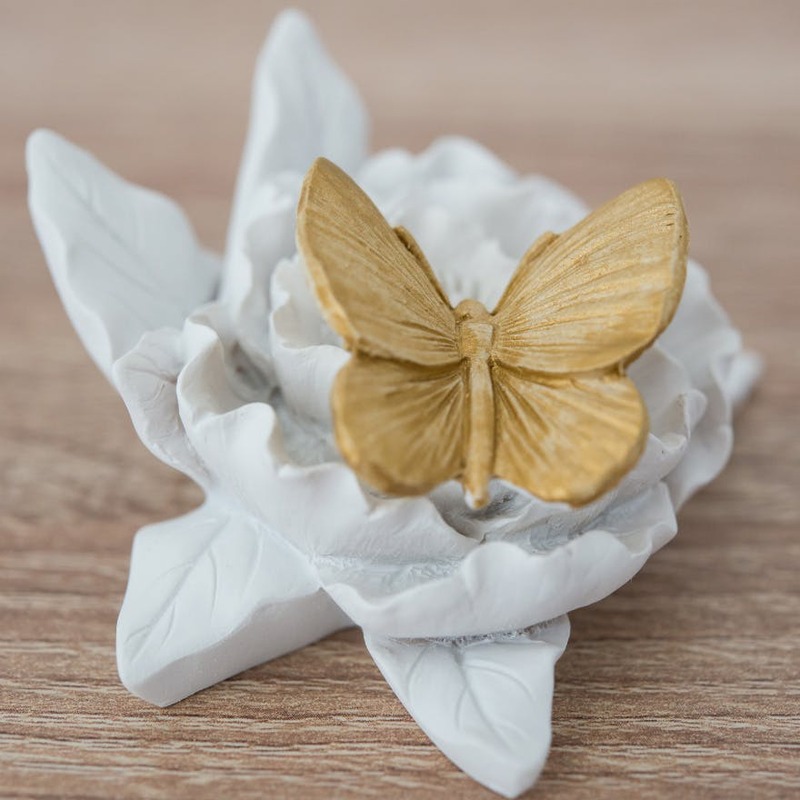 Find more classic white and gold items in the Confetti shop. 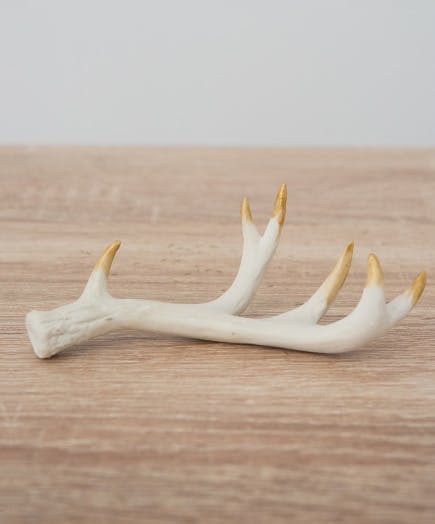 You could really add a touch of DIY to anything, and therefore make your items unique to you. Even the vintage parasol could be personalised with glitter or fabric paint! 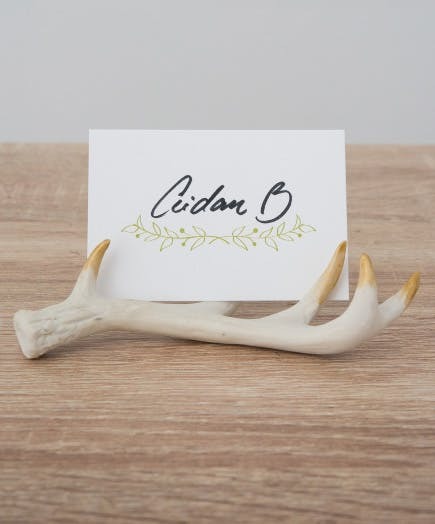 Find more wedding DIYs in our inspiration pages. 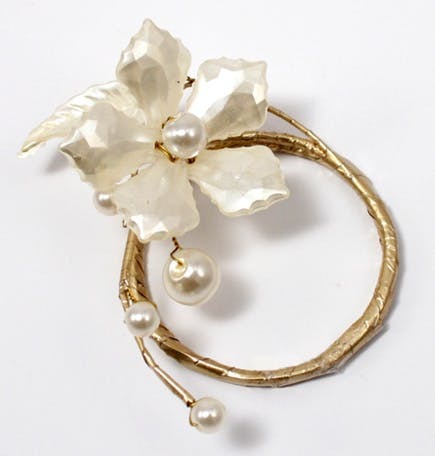 An earlier version of this DIY appeared on our sister blog, Weddingstar.